Springtime is here and EPCOT is ready to bring on the flowers! From March 6 to June 3, eat, drink, and rock around the world at EPCOT’s International Flower & Garden Festival. EPCOT is in full bloom with greenery that showcases scenes from classic Disney films. The favorite characters are brought to life through vibrant flower displays crafted by talented designers. A rocking good time awaits guests at the American Pavilion. This year’s line-up of talented acts and fan-favorite bands includes famous American soft rocker Christopher Cross, and Lonestar who will strum their famous American country hits. The musicians share the stage with acts from afar such as England’s ELO and Canadian rock group Simple Plan. The lineup is deep, so the series expanded to seven days a week. Now for what most people came for: the food. Sample international cuisine at outdoor kitchens located in front of each country along the World Showcase — a semi-circle of culture comprised of eleven official countries. Guests can indulge in an appetizer from Mexico, dinner from China, and then dessert from France after washing everything down with a libation from Germany. In addition to year-round rides such as Test Track and Frozen Ever After, families and kids of all ages can enjoy themed play areas, butterfly exhibits, and special seasonal festivities. During April, families can take part in an egg scavenger hunt to locate Disney character eggs hidden throughout the World Showcase. 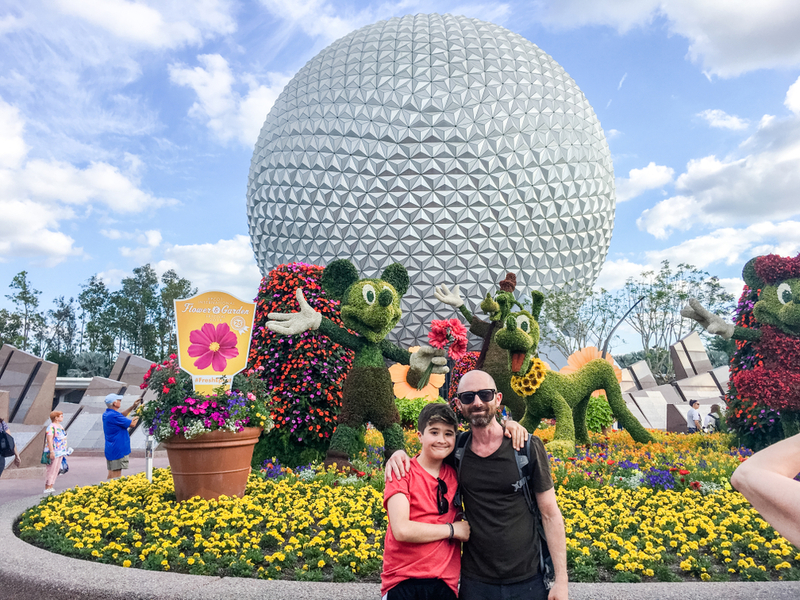 EPCOT’s Flower & Garden Festival provides an unforgettable springtime adventure for both kids and adults. For affordable comfort and convenience, book your stay at the Rosen Inn. Located on International Drive, the Rosen Inn is your perfect solution for affordable luxury right in the heart of Orlando. To secure your spring vacation, call us today at (407) 996-4444.